Don’t Show Up Empty Handed: Food Gifts From DC Chefs & Restaurants for Your Favorite Holiday Host | Exploring Food & Drink in D.C.
As long as you’re not a hermit (maybe even if you are) you probably have Christmas party invites coming out the wazoo. But what do you get to show your gratitude for the hostess? Gratitude that it’s not YOU having to host the party that is. While we still think our cookbook ideas are pretty grand (*hint hint*) we also think edible gifts trump a book. A book basically tells the receiver, “I was too lazy to make you anything. Here. Do it yourself.” The best part about these gift ideas is that they fall into the “sharing is caring” mantra. Well… if your host is the type to share with the rest of their guests. But in all honestly, we’re the type to hoard our gifts away and only break them out when no one is looking. 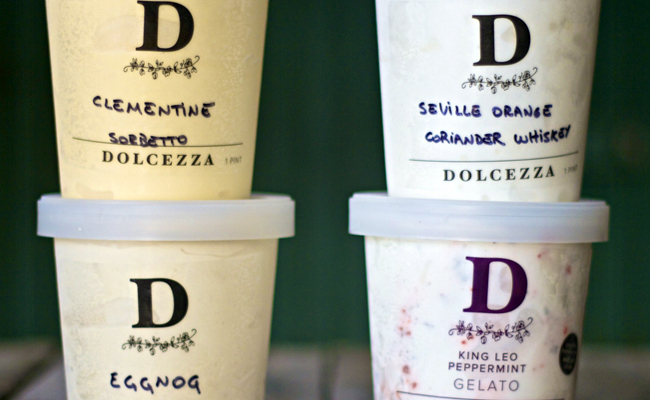 There’s never a way to go wrong when it comes to Dolcezza Gelato. Always beautiful and fresh with some pretty innovative flavors, customers can visit their shop online to purchase the Christmas package that includes four pints of gelato and sorbetto. (For those who need to ship something, Dolcezza is offering two-day airmail shipping within the continental United States.) The package is priced at $60 and includes King Leo Peppermint gelato, Eggnog gelato, Seville Orange Coriander Whiskey sorbetto, and Clementine sorbetto. Of course you’re not just limited to the Christmas Package. Dolcezza also offers a Nostalgic Wintertime, Summer Vacation (who doesn’t need one at this point? ), DC Farm Stand, The Classics, Craft Your Own, and Chef’s Choice options. Bayou Bakery advertises their treats as stocking stuffers, so why not stuff a stocking for your gracious host? Wrapped up with a ribbon and bow people who order TODAY (December 10) will receive 15% off their purchase. Treats include Candied Creole Pecans ($10 for 5oz), Trinity of Pralines in traditional, chocolate, and chicory coffee ($ for 2 each), Porkorn – caramel v.a. peanut popcorn, Benton’s bacon, cayenne ($8), Snap Cookies – Steen’s cane syrup and Louisiana heat ($5 for 6), and Chocolate Covered Peanuts – caramelized V.A. peanuts ($7 for 5oz). Have you seen Lupo Verde‘s meat and cheese room? 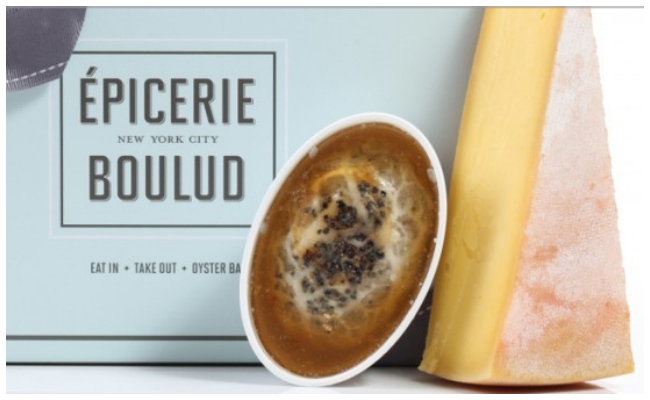 They sell some stunning house made products from pastas to charcuterie, to marmalade and goodness knows what else they’ve added since opening. We absolutely adore Lupo and think their Christmas Basket is a fantastic option for gift giving. Filled with Italian house-made treats, guests can opt to customize their own basket, or choose a pre-packed basket that includes homemade marmalade, homemade ragù, a bottle of Sagrantino di Montefalco, a bottle of Limoncello, three different cheeses, and three different cured meats. Basket prices range from $125 to $150. 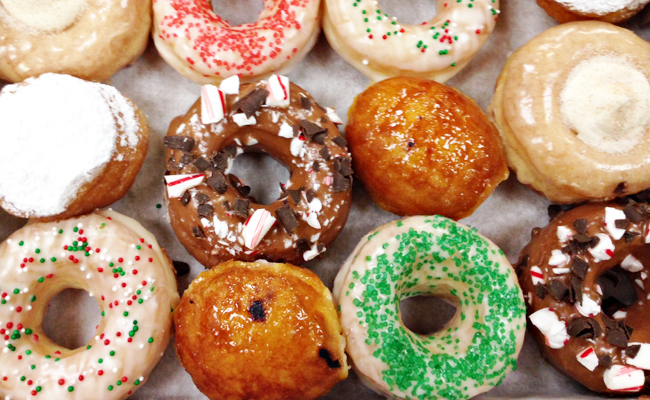 Astro Doughnuts, famous for their chicken and doughnuts is offering holiday boxes of assorted flavors. Let’s just say, if you were invited to our house and brought a box of these sweet delectables, we’d bend over backwards to make your visit phenomenal. For $20 each, customers will receive a box filled with and assortment of 2 Crème Brûlée, 2 Cinnamon with cinnamon dough, cinnamon glaze, and buttercream center sprinkled with cinnamon sugar, 2 Nutella Peppermint glazed with peppermint candy, chocolate sprinkles, 2 Powered Sugar filled with strawberry jam, 4 Vanilla glazed with holiday sprinkles. The Christmas Box, available for pre-order starting this Thursday, December 11, through December 24 will also be available in-store with limited quantities on Dec. 19, 20, and 24. Pre-0rders must be picked up by Dec. 24, 3pm. If you’re thinking ahead or celebrate Hanukkah Astro Doughnuts are also offering Hanukkah Boxes and New Years Boxes. Pre-order by emailing info@astrodoughnuts.com or calling 202-809-5565. Tags: Astro Doughnuts, Bayou Bakery, Christmas Gifts, Dolcezza, Host Gifts, Hostess Gifts, Last Minute Ideas, Lupo Verde, Restaurant Gifts. Bookmark the permalink.